According to the motto 'Saving the best till last', the winter in SalzburgerLand goes full steam ahead to the ' Grand Finale' at Easter, and shows its very best and most enjoyable side. What could be more beautiful than skiing across deep snow-covered slopes in the sunshine, feeling the warm wind on your skin, and getting the first taste of the season with lunch on the terrace of our mountain huts? Special package offers, top events, living traditions and guaranteed snow ensure that an Easter holiday in the SalzburgerLand Mountains is an unforgettable experience. When the days get longer, the sun noticeably gains strength and even the birds slowly return home, then spring is in the air and the Sunshine skiing in SalzburgerLand is approaching. This is a time that is characterised not only by the re-awakening of nature, but is also especially suitable for enjoyable skiing. Still perfectly prepared slopes and guaranteed snow until after Easter ensure that this time enjoys particular popularity among skiers. No wonder, when you think of the glorious mornings where you glide across the slopes, the midday hours spent relaxing in the sun at one of the huts and the early evenings, where you can enjoy the already mild temperatures down in the valley to the fullest. Because one thing is clear – Easter in the SalzburgerLand Mountains takes you to the sunny side of life, and not just in the proverbial sense. Whoever thinks that life at Easter mainly takes place on the slopes and in the ski huts has not reckoned with the people here in SalzburgerLand and their extremely living traditions. Some traditions are ancient pagan customs and sometimes there are ancestral fertility rituals and high church holidays. All these festivals and celebrations in SalzburgerLand always offer however the chance to dress-up and live the high life among the people. Especially around Easter, many of these traditions are popular among not only us locals, but also provide great variety for our guests. Some of these popular traditions are the Palm Bush binding, the Palm procession with the Palm donkey ride, Mount of Olives singing, and colouring and then cracking the Easter Eggs. The Lungau Easter fires, which brighten the sky and are visible from far off in the night of Easter Saturday into Easter Sunday, are especially spectacular and date back to the pre-Christian period. They are an expression of joy at the birth of the Lord, and the desire for the re-awakening of nature. 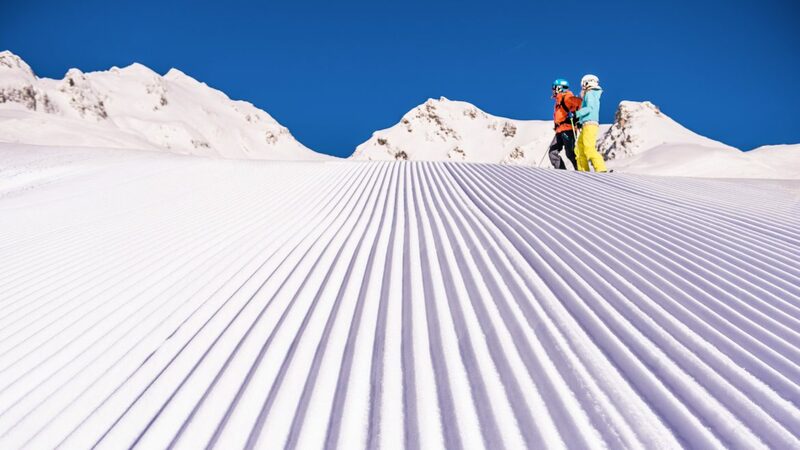 Skiing experts and enthusiasts, families and also skiing beginners all really get their money’s worth in the three ski resorts of the Zell am See-Kaprun Region, with a total of around 140 kilometres of slopes on the Kitzsteinhorn Glacier, the Schmittenhöhe and the Maiskogel. The Sunshine Skiing package is available from 29.4 to 3.6.2019 and promises wonderful hours of sunshine in one of the most beautiful regions in the world. For 3 nights, you pay from € 210 in an apartment or from € 321 per person in a *** Hotel double room. 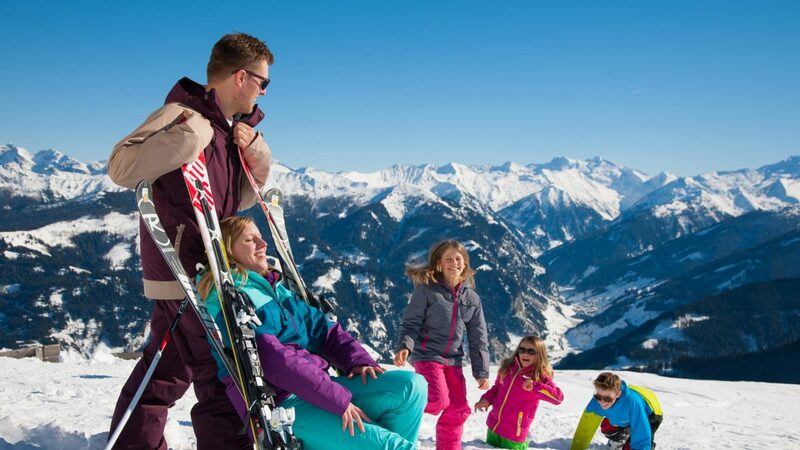 Included are a 3-day ski pass for all operating ski lifts in Zell am See-Kaprun, 3-day ski rental (or with your own equipment you get 50% off a ski service) as well as a € 15 discount at the local ski school (until Easter 2019). Four days skiing, four nights in a hotel, and only pay for three days – that is the concept of 4=3 in Ski amadé. The offer is valid for adults in selected establishments in all Ski amadé regions in the pre and post season, as well as on selected dates in January and March 2019. During the Ladies Week from 25.3 until 30.3.2019, whoever arrives as a pair and books a week package in a double room in selected accommodation (7 nights for 2 people), will get a free 6-day ski pass under the “1+1 Free” motto. A varied program with a ski guide, ski tests, concerts and fashion shows completes the Ladies Week. Pure sporting pleasure awaits winter athletes in the eight towns of the Salzburg Sports World. Everyone will find their own special ski paradise here, whether on a family-friendly slope, a fast paced World Cup run, a Freeride circuit or on a floodlit trail. Last minute planners will be greeted by particularly attractive Ski Specials holiday offers – such as 7 nights with breakfast in a B&B in Flachau, including a 6-day ski pass for Ski amadé for the price of only € 487 per person in a double room. Escape the daily humdrum and enjoy a break in the snow – pleasurable skiing days in the Grossarl Valley are perfect for a winter getaway. The package includes 3 nights selected accommodation as well as a 2-day ski pass for Ski amadé. Arrival is not fixed to any day of the week and the package can be booked directly with the respective accommodation between 30.11.2018 and 22.4.2019. This short trip costs from € 169 per person in a holiday apartment without meals, from € 209 in a B&B, from € 284 in a *** Hotel including half-board and from € 319 in a **** Hotel including half-board. What about some skiing pleasure on the slopes in the morning and relaxing in the afternoon in the 33 degree warm thermal water of the Gastein Spas? The Ski & Spa Weekend package offers pure recreation. It is valid from 16.3 to 22.4.2019 and includes 3 nights in the selected accommodation category, a 4-day ski pass for Ski amadé, as well as a 3 or 4 hour entry ticket (3hrs in Bad Gastein Rock Spa, 4hrs in the Gastein Alpine Spa) to one of the Gastein Spas. From € 322 per person, including breakfast. The Hochkönig Region is well-known for its excellent cuisine. Whether on the ski huts or in the restaurants, the dishes are versatile and down-to-earth, tasty and healthy at the same time. Here you can enjoy skiing and dining at particularly attractive prices during the “Culinary Ski Weeks” of 16.3 to 22.4.2019. The package includes 7 nights in the selected category, a 6-day ski pass, 20% discount on ski rental, a one-off Kasnock’n meal with toboggan hire, a fondue or Tartar’s hat evening, as well as a Sundowner cocktail with Austrian finger food (included only in March). Prices from € 619 per person in a B&B. The three ski resorts of Katschberg-Aineck, Grosseck-Speiereck and Fanningberg provide perfect winter fun with over 150 km of slopes in the Lungau region. During the SkiPLUS Weeks in LUNGAU, from 16.3 until the end of the 2019 season guests purchasing at least a 4-day SkiLungau ski pass get a range of discounts. These include, among other things, approx. 15% discount on the ski pass price (high season) or on ski service or ski rental, 10% on a skiing lesson, as well as other attractive discounts. Over 270km of slopes and 70 modern cable cars guarantee comfort, depth and diversity in winter in the Saalbach Hinterglemm Leogang Fieberbrunn Ski Region. From gentle slopes with wide carving Pistes down to the Black World Cup run, the ideal terrain awaits each and every winter sports enthusiast. The package includes 7 nights in the desired category in Saalfelden or Leogang, as well as a 6-Day ski pass for the Saalbach Hinterglemm Leogang Fieberbrunn ski association. The flat rate is available until 7th April 2019 from € 374 per person. Skiing experts and fans, families and skiing beginners all really get their money’s worth in the three ski resorts of the Zell am See-Kaprun Region, with a total of around 140 kilometres of slopes on the Kitzsteinhorn Glacier, the Schmittenhöhe and the Maiskogel. The holiday package is called “Sunshine Skiing” and is available from 27.4. to 5.5.2019 for € 1,070 in a B&B with breakfast for a family (2 adults, 2 children under 12 years). Included are the overnight stay, a 6-Day ski pass for all lifts in operation in Zell am See-Kaprun as well as 6 days of ski hire – pay for 5 days (or for your own ski equipment a 50% reduction on a ski service). The family-friendly ski area of the Wildkogel Arena, in the Hohe Tauern National Park holiday region holds 61 kilometres of slopes and invites you to the Snow Waltz. This holiday package includes 7 nights in the chosen category, a 6-day ski pass, either a free skiing lesson for 3 whole days or 5 half days, or 3 half days in the ‘Dwarfs Ski Course’ (3 to 4 years of age), or a 6 hour snowboard intensive training or 3 whole or 5 half days of childcare in the Panorama Mountain Restauarant. This offer is available as a Sunshine Skiing Package from 9.3 to 13.4.2019 from € 446 per person in an apartment. In Salzburg’s Saalach Valley, there is slope fun for the whole family and also still a special offer at Easter. The package includes 4 nights in the desired category, a 3-Day ski pass for the Lofer Alpine World, as well as the rides on the ski bus. Children up to the age of 12 receive the overnight stay as well as the ski pass free of charge (with 2 full payers). The arrangement can be booked from 9.3 to 30.3.2019 from € 239 in a B&B with breakfast, from € 349 at a ***Gasthof/Hotel with half board and from € 419 at a ****Hotel with half board, per person. Just like at the start of the season, it’s already a long tradition to celebrate the end of the winter season in the spring with great events in many places in SalzburgerLand. Everyone is guaranteed something special with all the events ranging from top-ski touring races, the highest Farmer’s Market in the Alps, and onto the world-famous Salzburg Easter Festival. Here for you, we list the best events for the end of winter in SalzburgerLand.